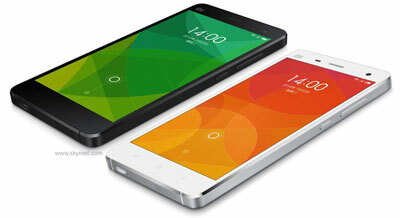 Xiaomi famous as Chinese Apple is stopped sales of Mi3 in India for some time. The handset of this phone about 96000 is sold in India till now. This decision is took by company to increase the sale of Redmi 1S which is recently launched in Indian market. Beside this purpose company soon will launch a new smartphone. According to source Xiaomi will launch Mi4 in Indian market near Diwali. Mi4 is successor of Mi3 with metallic body. This may be the reason of stopping Mi3’s sale in India so that company can prepare of Mi4. Xiaomi Mi4 is a Smartphone phone which is available in Micro SIM with 4G facility. Xiaomi Mi4 is available in white and black color. This phone uses different chipsets for different variants in 4G versions with 2.5 GHz Qualcomm Snapdragon 801 quad-core processor. It has 13 MP with auto focus, Dual-LED flash facility on rear and 8MP front facing camera. This phone has 2.5 GHz Qualcomm Snapdragon 801 quad core processor which is very power and will give high speed. This phone may prove excellent in multitasking as it has 3GB RAM too. For HD games and heavy apps this phone may prove good. This phone has 16 GB internal memory. No information about external memory is given by company. Xiaomi Mi4 has 5.0 inches Screen. It has IPS LCD capacitive touchscreen Display with 1080 x 1920 pixels Resolution. Its screen can display 16 million colors. This phone has 13 megapixel rear camera which is same of Xiaomi Mi3. It has front camera of 8 mega pixel which is better than Mi3. Xiaomi Mi4 has 13 MP Rear Camera with 4128 x 3096 pixels. It has autofocus, Dual-LED flash and 1/3” sensor size, geo-tagging, touch focus, face detection, image stabilization, HDR and panorama with 8 MP front facing Camera. Xiaomi Mi4 is a stylish phone, it has 139.2 x 68.5 x 8.9 mm Dimensions and weight is 149g. Xiaomi Mi4 runs on 4.4.3 Android Kitkat. It supports Java and browser flash. TThe Smartphone has a compass, Accelerometer, proximity and Maps, Calendar, Google Search, Gmail, YouTube, Google Talk, Alarm, Calculator, Clock, and other Google sync apps. This is power pack with loaded lots of features and apps. Xiaomi Mi4 has supports 4G and 3G (GSM) networks, Bluetooth and Micro USB. Xiaomi Mi4 has 3080 mAh battery power which is very good for user. According to company in matter of battery charging this phone may be fastest till now. According to Xiaomi’s CEO Lee Zun if this device is normally used, its 60% battery can charge in only 1 hour. There is no information about price of this phone and when this phone will come in Indian market for sale.